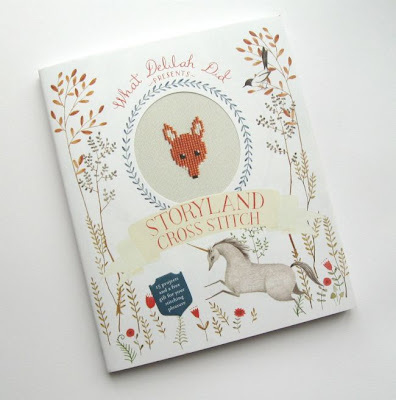 Today I'm taking part in Crafty Magazine's blog tour celebrating the launch of a gorgeous new craft book: Storyland Cross Stitch by Sophie Simpson (the talented lady behind What Delilah Did). I loved the look of the few pics I'd seen online of this book and I wasn't disappointed when my review copy arrived. Isn't the cover lovely? 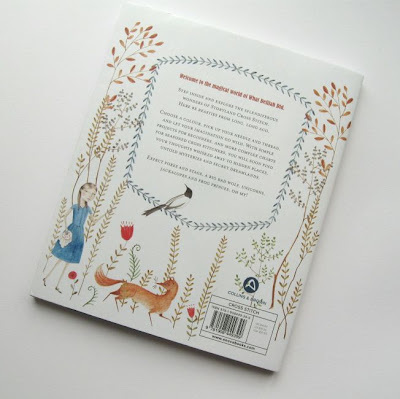 ... and the white cover is actually a dustjacket (printed on yummy textured paper) with a window on the front through which you can peek at the printed cover within. 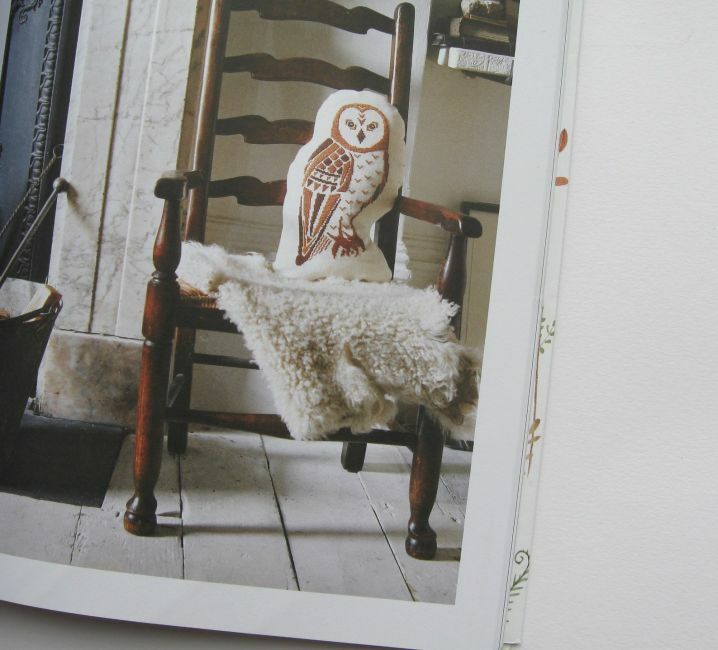 Obviously when you buy a craft book you want the projects in the book to be attractive and inspirational and easy to follow and all that stuff but oooh how wonderful it is when you can have all those things contained in a book that's been beautifully put together & that is, in its own right, a lovely thing to own and to look at. Storyland Cross Stitch contains 15 cross stitch projects (sometimes one design, sometimes a group of co-ordinating designs), plus a small starter pack of thread, a needle and some fabric in the back of the book so you can get stitching almost immediately. There's an introductory guide to the equipment, materials and techniques you'll need, then the rest of the book is split into three sections: "projects for beginners", "practice makes perfect" and "projects for the brave and determined". I think these section titles mostly relate to the stitching time involved in the featured designs - each chart helpfully gives you an estimated stitching time for the project so you know what you're getting yourself into! 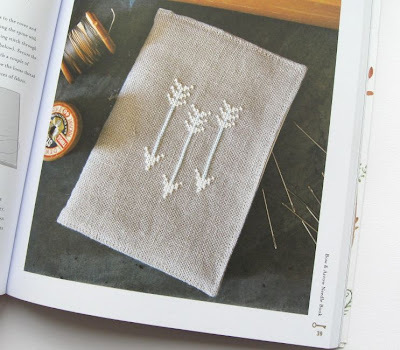 The designs in the book range from mini motifs on embroidered buttons that each take 15-20 minutes to stitch, to a crown cushion that takes approximately 30 hours to complete. This cat mask is from the middle section (approx stitching time: 9 hours). ... which is an idea that could easily have turned into something a bit twee, but the end result is actually very entertaining. 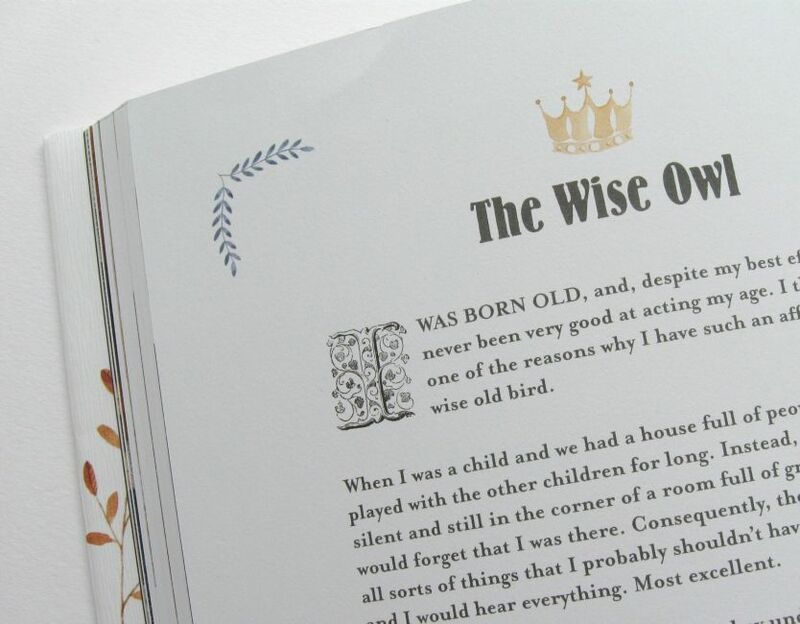 The fairytale-style intros are charming & quirky tales of magic and fairies and enchanted forests, but they're also pretty funny and have a dark edge to them. For example, the Bow & Arrow Needle Book introduction describes how the bow & arrow has "gained popularity" in Storyland "following a celebrity endorsement by Robin Hood" ... "It has become a sort of status symbol, rather like this season's "It Bag". "A word of warning though: there is a limit to what a bow and arrow can do, no matter how skilled the archer wielding them. There is magic in this place; things lurk here that no number of arrows could stop. 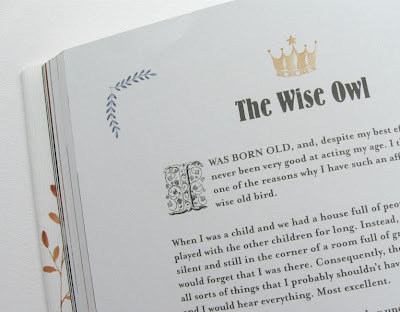 So keep your wits about you..."
These little introductions perfectly match the storybook theme of the book, and I think their tone also reflects the style of the designs which aren't "cute" and "girly" at all (despite being a book inspired by fairy stories, and featuring things like princesses and unicorns), but instead are stylish and grown-up - often involving simple, slightly gothic silhouettes, and mostly stitched in a muted colour palette of black and browns and gold. There are two unicorns in the book but they're both stitched in black and one (according to the story) has had its head chopped off! After the intro text we're given the instructions for making the items the motifs are stitched to (e.g. how to make the book cover that's decorated with a cross stitch coat of arms), followed by the chart(s) required for the cross stitch design itself. 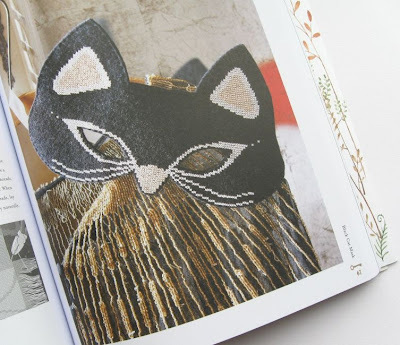 My favourite project from the book? It has to be this Wise Owl Cushion. Storyland Cross Stitch is published by Collins & Brown. RRP £14.99. It's available from Amazon UK, Amazon USA, The Book Depository and many other bookshops. 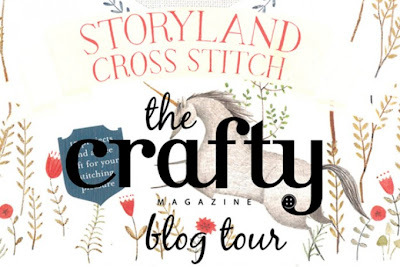 You can read the first post in the blog tour over at Crafty Magazine... and make sure you visit Teasemade tomorrow (August 7th) for the next post in the tour. 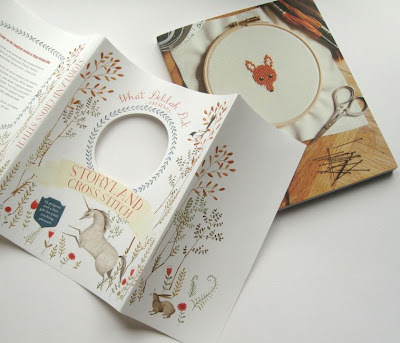 You can also get 20% off all PDF patterns at What Delilah Did this week (ends Sunday 11th August) using the code CRAFTYMAG. 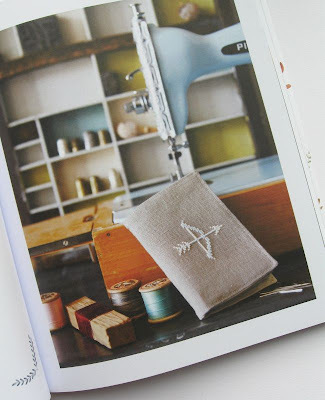 Some thread and fabric come with the book? 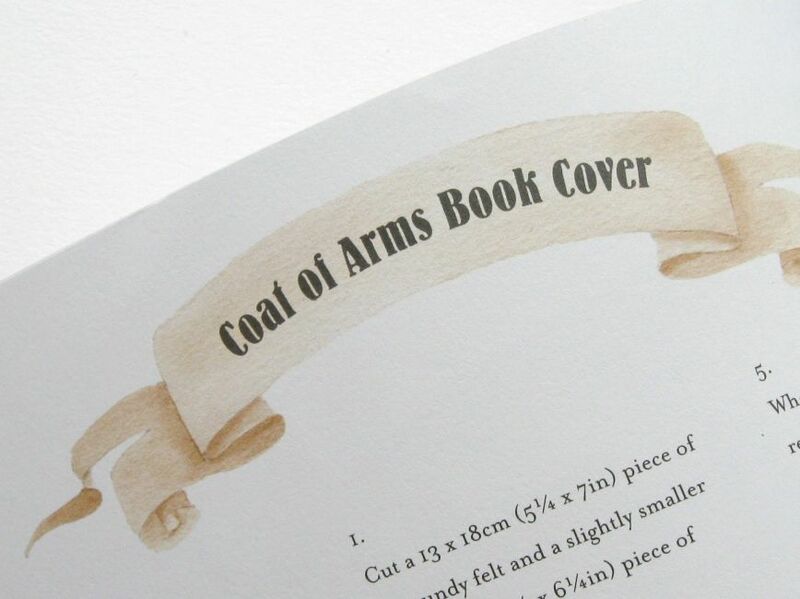 What a smart idea, perfect for the craft addict in need of a project for right now. I have been there and I wish this book had been around then. Anyway thanks for the review, this book look as interesting as it is pretty, going straight on my wish list. It's a great idea to have some starter supplies provided, isn't it? I have definitely been given books in the past that I wanted to start making things from straight away (especially when I've been given them as Christmas gifts and I have all that spare time over the holidays). 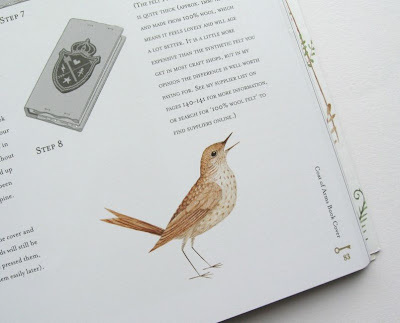 A very nice added bonus to a lovely book.